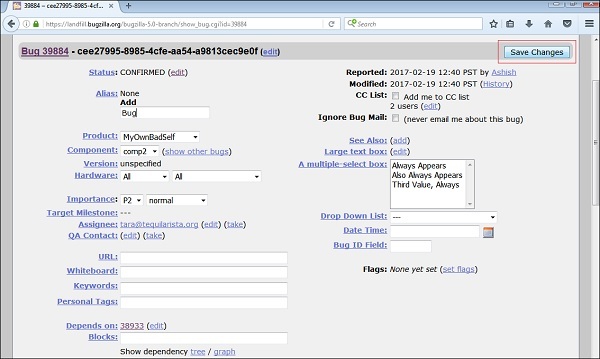 Bugzilla has a provision of editing an existing bug. 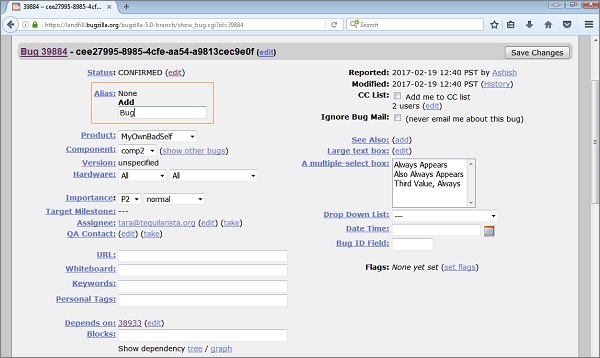 A user can edit a bug during the lifecycle of any bug. Most of the fields have an edit hyperlink. 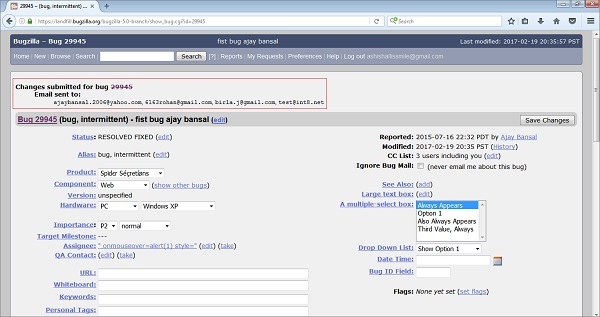 It depends on administrator of Bugzilla to provide edit options with different fields. 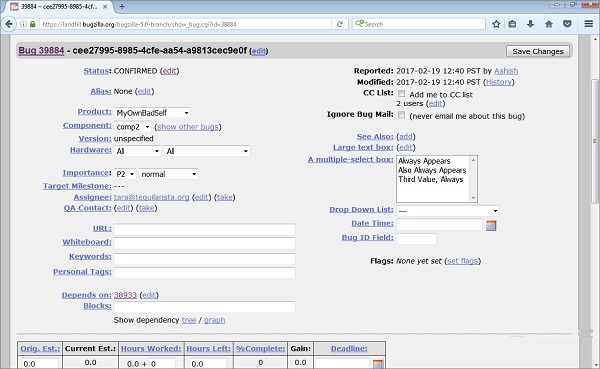 In the following screenshot, there are many fields that have an edit hyperlink such as – Status, Alias, Assignee, QA Contact, ‘Depends on’, Large Text box, Flags, CC list, etc. Click on the edit hyperlink of a particular field, that field will display as editable and the user can edit the field accordingly. After the editing is done, click on Save Changes button, which is on the top right hand corner of the page as shown in the screenshot below. After the changes are successfully done, the advisory will display of the bug details as shown in the following screenshot.